Check Rates & Availability at BEST WESTERN PLUS Carlton Suites! Welcome to the Best Western Plus Carlton Suites where guests will find superior customer care and an array of amenities for an affordable rate. Start the day off with a free hot breakfast buffet featuring eggs, waffles, sausage, bacon and more! Enjoy some of the hotel's many amenities such as an indoor heated swimming pool, exercise facility, guest laundry facilities, business center and meeting facilities. Our guests will also enjoy our Fiber-Optic internet, giving you the fastest connection to the internet. Dogs with an 80 pound weight limit are welcome with a $20.00 per pet per day fee! Guests will find themselves in an ideal location in Birmingham while staying at the Best Western Plus Carlton Suites. Alabama's Shelby County offers a variety of attractions, all just minutes from the hotel including the Birmingham Civic Center, the McWain Center and the Birmingham Civil Rights Museum. As well as being situated in the middle of many restaurants and businesses, guests will find shopping to suit any taste at the Brookwood Mall or the Galleria Mall. Both Samford University and University of Alabama Birmingham are within three miles of the hotel, ideal for guests visiting students. Spend the day at the Botanical Gardens and Zoo or Vision Land Water Park. Race fans will enjoy being close to the Talladega Speedway and the Barber Motorsports. Enjoy convenient access to the Birmingham Civil Rights Museum, the Talladega Speedway and University of Alabama Birmingham at this all-suites Birmingham Alabama hotel. 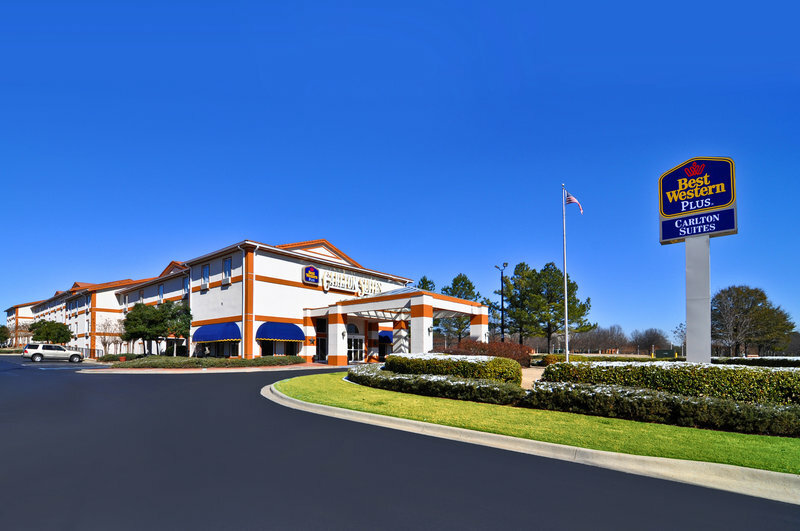 The friendly, helpful staff at the Best Western Plus Carlton Suites is ready to ensure a fun-filled memorable stay in Birmingham, Alabama. Make a reservation today and save! Guests must show a credit card at check-in for all pre-paid reservations.